The Macrobiotic Health for Women (and Men) on Sunday, April 21, focued on how to make a remedy drink for liver cleansing now that spring is here. 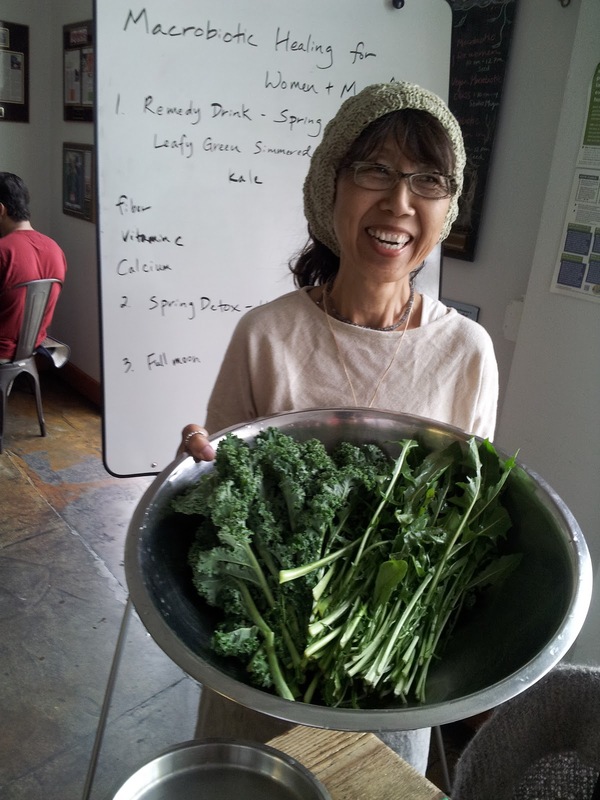 Sanae told how she likes to cleans her liver and kidney twice a year at Spring and Fall. Sanae made the tea remedy from dandelion and kale greens. Discussion also looked at some indicators in body, mind and spirit that a cleanse would be appropriate. 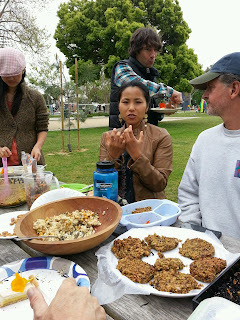 Sanae demonstrated her custom made, organic cosmetic products. Finally, the group discussed new moon, full moon energy and how to make use of the powerful energy of this time period. Upcoming events include a presentation by Sanae Suzuki and Chef Eric at Wrold Fest on sunday, May 19; Macrobioit spring Cooking class at Studio Mugen on Saturday, May 4 and Macrobiotic Health for Women Class #5 on Sunday, June 9. 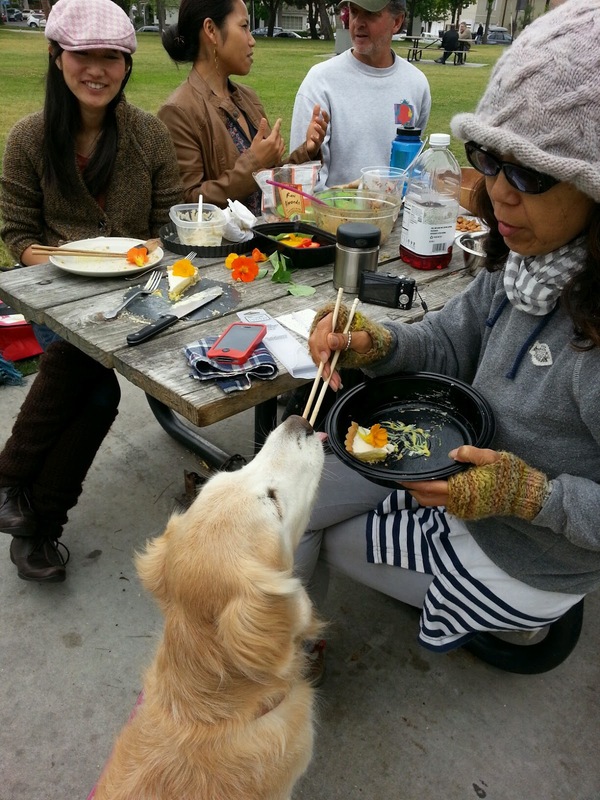 A diversity of health experience and food was the focus for our macrobiotic pot luck picnic on Saturday, April 13, in Santa Monica's Clover Park. 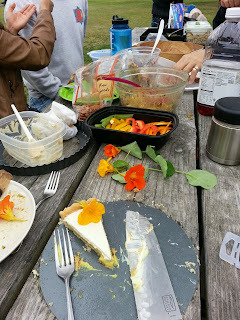 The overcast skies provided cool weather for everyone to relax and share different health experiences and perspectives, not to mention the various tasty food dishes. 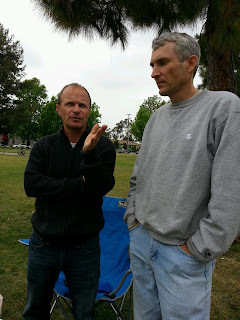 Below you'll see some different pictures. 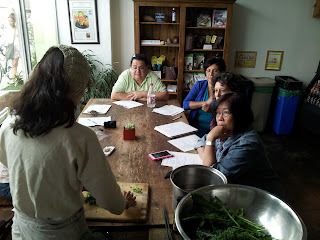 Our next event is the Macrobiotic Women's Health class on Sunday, April 21, at Seed Restaurant on 1609 Venice Boulevard. 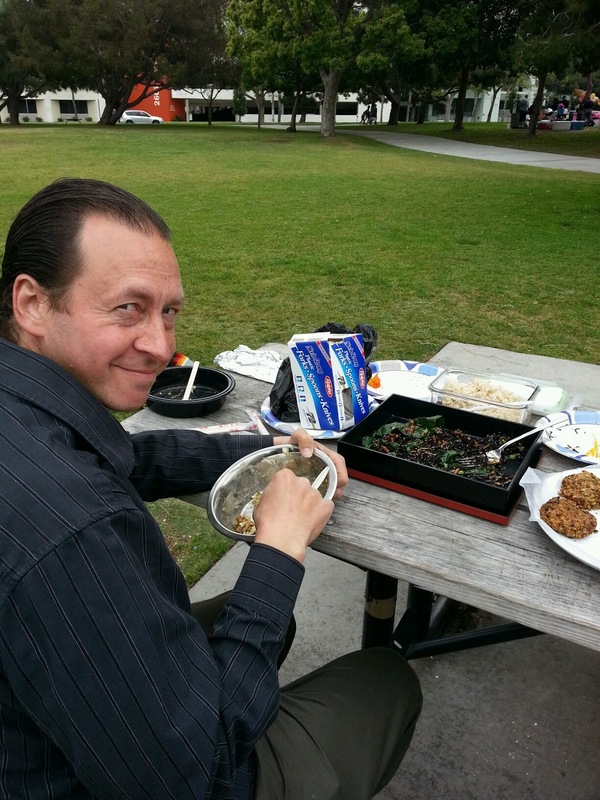 While the event focuses on women's issues, men are welcome to attend to gain further understanding of women's health issues from a macrobiotic perspective. 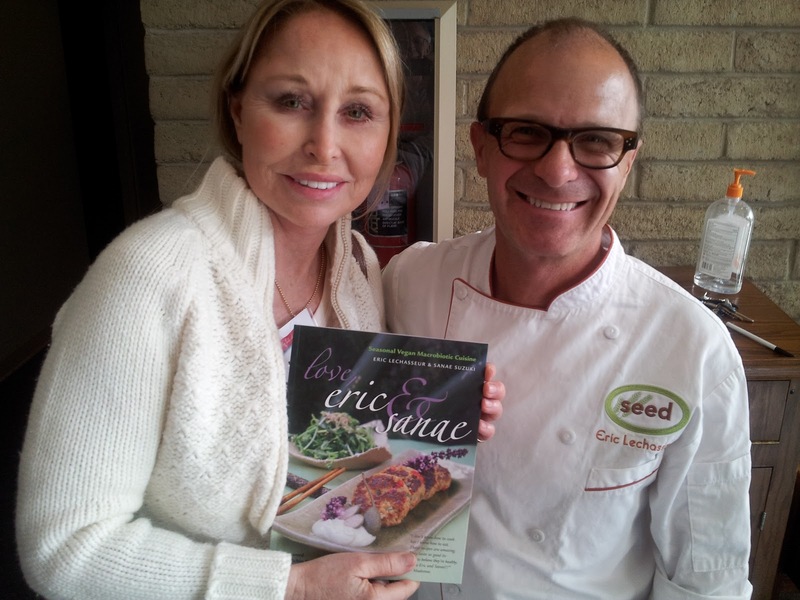 Seed Kitchen was a featured presenter at the Healthy Taste of Ventura on Sunday, April 7. 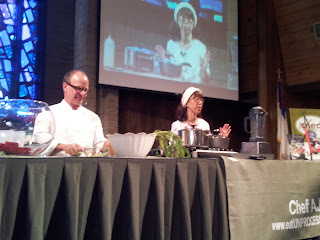 During the event Sanae Suzuki and Eric Lechasseur demonstrated how to make Hijiki salad with edamane and roasted pumpkin seeds, chocolate truffle and creamy carrot soup. 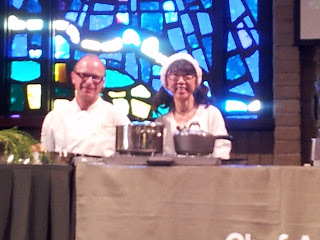 The day-long event also featured Dr. David Lowe, Chef A.J. 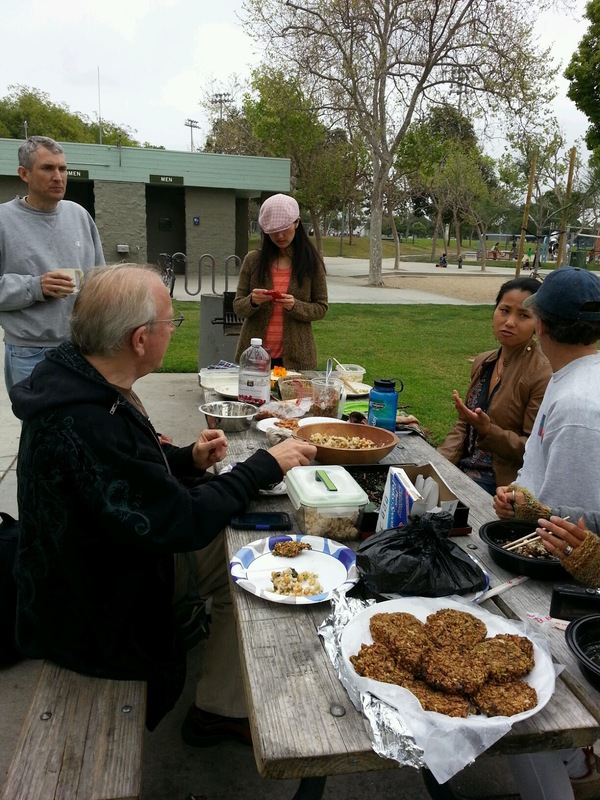 ; John Pierre, vegan fitness and nutrition counselor; Dr. Matt Lederman; Zel Allen; Dr. Michael Greger; and vegan athlete Robert Cheeke. 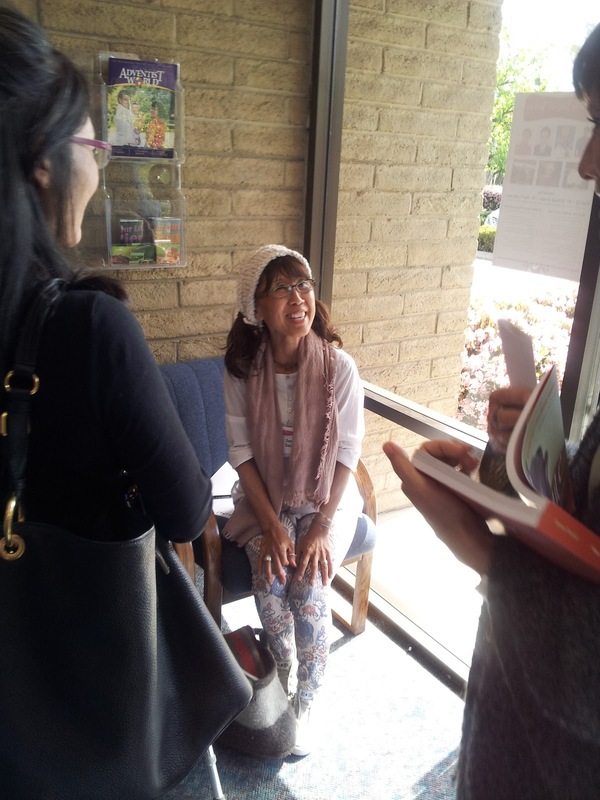 Approximately 200 attendees filled the Camarillo Seventh-Day Adventist Church for the day of healthy teaching on food and health. 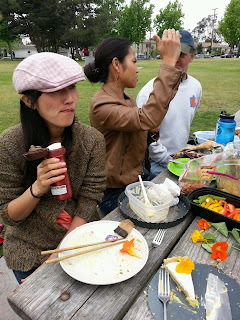 Sanae and Eric’s next presentation will be at World Fest on May 19 at Woodley Park in Van Nuys.